Rapidly increasing online sales and web based companies are quickly pushing e-commerce packaging to the forefront of all retail packaging. Don’t let your bland e-commerce packaging water down the shopping experience for your online customers. Instead of accepting boring packaging as your fate, think about different kinds of stock packaging that can be used to enhance your e-commerce goods. Good packaging should inspire your customers and help them remember your brand and their shopping experience from start to finish. Splash Packaging supplies e-commerce and protective packaging for shipping as well as many options that can add some color and personality to your packaging. Make a bold impression on your customers by following some of our simple e-commerce packaging tips. When packaging and shipping e-commerce items, special care must be taken to ensure that the items don’t arrive at their destination damaged or broken. This process usually involves bubble wrap, shrink wrap, and plain newspaper which are not the most aesthetically pleasing options. Luckily, there are several ways to add some color and style to your e-commerce packaging with little cost. 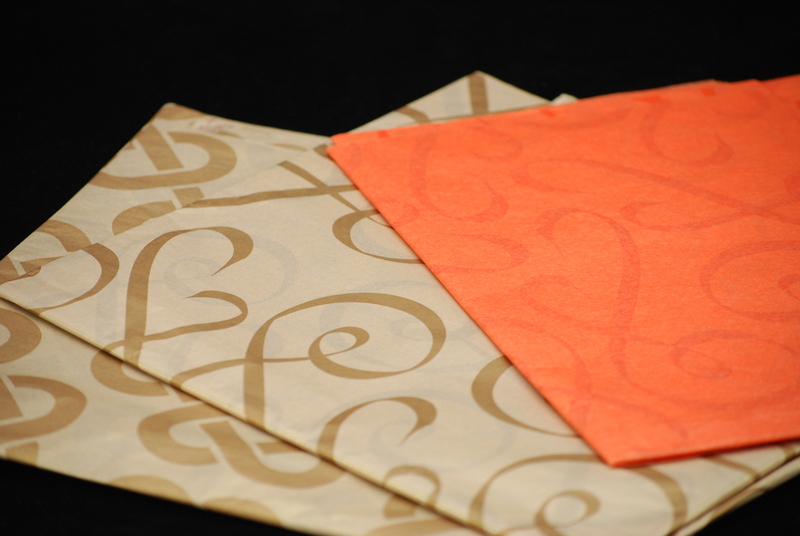 Tissue paper is an easy way to add color to your packaging and make it feel more elegant and personal. 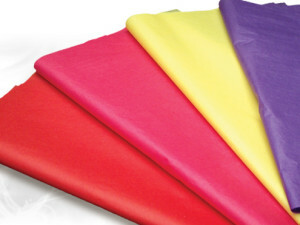 Tissue paper is available in a massive rainbow of colors as well as many prints, finishes, and styles. You can wrap items in tissue either before or after the protective wrapping, or even both if possible. You can choose colors that coordinate with your brand or the current season or holidays. Tissue paper is a great way to reinforce your brand image using colors or prints that associate with your company. It’s also a great way to celebrate holidays, special events, and special occasions at a low cost. Crinkle cut paper shred is a great way to fill boxes while also providing color and style to your packages. Paper shred provides volume fill and cushion for your items, and is available in 18 colors on our website. 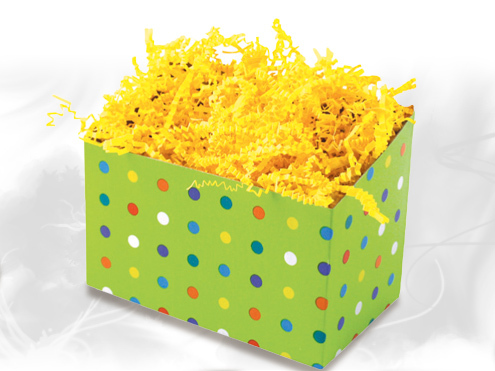 You can use this paper shred to add color to your packaging based on your brand’s colors or holidays and special events. Ribbon or gift wrap are also colorful additions to your packaging that are inexpensive and easy to implement. Ribbon can be used in many creative ways, and Splash Packaging carries many different styles of ribbon that feature various colors, sizes, and abilities. Dyna Satin ribbon is an elegant option available in many colors and perfect for tying in a nice bow. Wraphia and curling ribbon are thinner ribbon options that are available in many colors, and look great mix and matched! Ribbon is a great option if you have specific branded colors that you want to reinforce with your packaging. Ribbon can be a nice, elegant finishing touch for retailers who want to give customers a memorable shopping experience. When shipping small items and accessories, you can consider packing the items in small pillow boxes or purse style boxes to fit inside your shipping boxes. Adding an extra element of packaging to these items make them seem more genuine and memorable for your customers. Your customer will feel more of the ‘retail experience’ when you provide them with packaging that is similar to what they would receive buying in-store. For jewelry and small accessories, consider packing items in a small jewelry box or pillow box with a tissue paper or ribbon of your choice. Then place the packaged item into your shipping box or mailing envelope. This double layered method of packaging enhances the unboxing experience for your customers, while also adding an extra layer of protection. 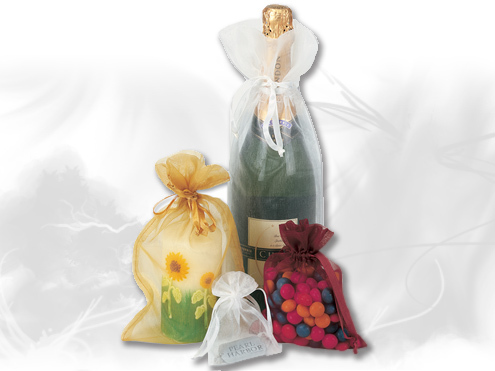 If boxes aren’t really your thing, Splash Packaging sells drawstring pouch bags in several sizes. Pouch options include color tinted organza, and jute. Organza bags are available in several sizes in 24 unique colors. Our natural jute pouches are available in four colors and three different sizes. These bags are perfect for small items, jewelry, gifts, keychains, and more, and can easily fit inside your mailing envelopes or mailing boxes. You may not know this, but Splash Packaging has an affiliate company who specializes in custom packaging. The team at Morgan Chaney packaging are industry experts in custom packaging and have been in business for over 60 years. If you are interested in taking your e-commerce packaging to the next level, contact a Morgan Chaney packaging consultant for more information. Incorporating a mixture of stock and custom e-commerce packaging is the best way to make your brand known while also saving on costs. Custom e-commerce packaging options include boxes, tissue paper, shipping tape, and much more. For more information, see Morgan Chaney’s recent blog post about custom e-commerce packaging. Regardless of what e-commerce packaging you choose, you still need basic, protective shipping supplies to get the job done. Durable and protective packaging is the most important aspect of e-commerce packaging, as you need to ensure your products arrive safely to their destination. 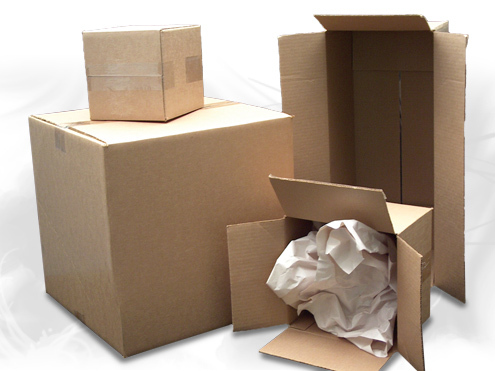 Splash Packaging has high quality shipping packaging to accommodate your needs for items of many sizes. Corrugated boxes are durable and easy to use, a staple item for your e-commerce packaging needs. Our bubble pack comes in a convenient roll and is ultra-protective to ensure that your items don’t get damaged in transit. Cushioned bubble mailers are perfect for smaller items that aren’t extremely breakable, and just need some protective packaging. 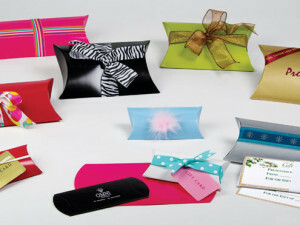 These provide the cushion needed to protect your items while also serving as a mail-ready envelope. We also carry newsprint paper, tuck-top mailing boxes, and more on our website. All of the items featured in this blog post can be found at www.splashpackaging.com. Get Creative With Your Stock Packaging! Packaging has become the one of the leading industry due to customization. Now People can design their own box in any shape and design. They can also put their logo on it. customized packaging has an important role due to the different style, sizes and shapes with the printed company logo.